You may use the repost app to repost or take a screen shot of the above photo from @MaryamNYC Instagram page. So I have a couple of questions! 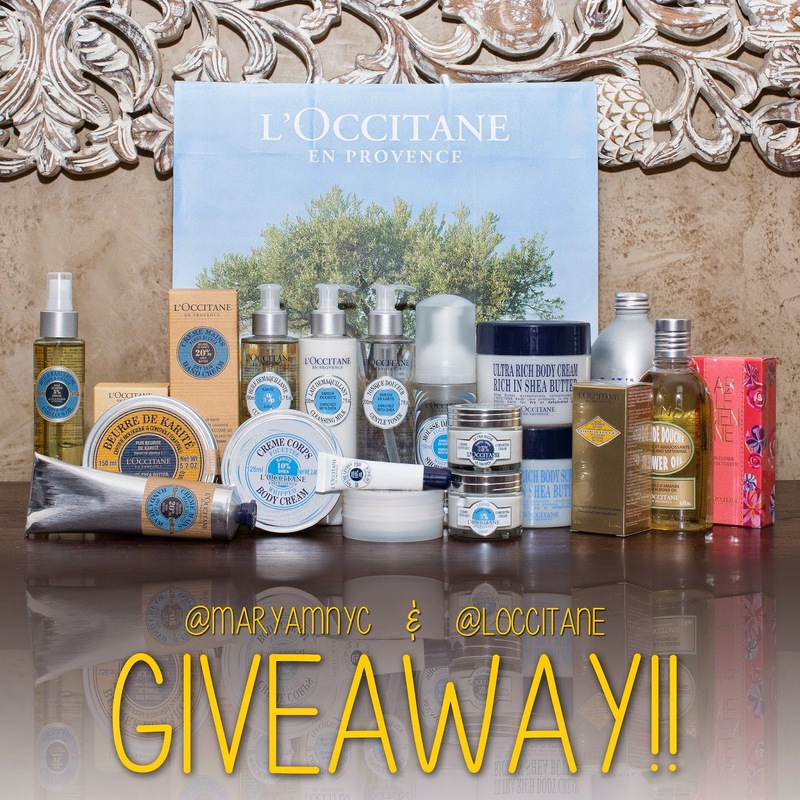 Q: First one, have you tried @LOCCITANE? If so, what are some of your favorite L'Occitane products / collections? Lastly, how do you revamp your tired skin? For a summer season I realy like the Andelica serie. L'Occitane isn't available in Nigeria so haven't had a chance to try any of their products. Incredible hamper for the lucky winner. How about including an exclusive dinner with you at an exotic locale for the winner !